These books, selected by Seattle Times book editor Mary Ann Gwinn, tell 21st-century Seattle’s backstory, including entertaining takes on local history, compelling personal stories and remembrances of the city’s changing music scene. Note: Check out Part 1: the fiction essentials, Part 3: nature and natural history and our overall Seattle Newcomers Guide. This week we continue our quest to stock the virtual shelves with books for Seattle newcomers. Last week I listed fiction — this time around it’s books on local history, memoir, music and true crime. These books tell the story beneath 21st-century Seattle’s gleaming skin, a story rife with aspiration, struggle and even corruption. In other words, never boring. Here are some of my favorites; please send me yours, by either leaving a comment or sending an email to mgwinn@seattletimes.com. Suggestions for titles on local business history and art history are especially welcome. Next week we’ll cover the final installment — books about nature and natural history. Gary Atkins. Atkins’ 2003 book “Gay Seattle: Stories of Exile and Belonging” tells the story of gays in Seattle and Washington state, starting in 1893, when the Legislature made homosexuality a crime, and moves forward through 100 turbulent years. The activist groups, the personalities, the tragedies of the AIDS era. It documents the relentless forward motion that moved the state from a place where homosexuality was a crime to one of the most gay-friendly regions of the country. Judy Bentley. Bentley is the author of two hands-on-history books. “Hiking Washington’s History” is an on-the-ground guide to our state’s history via 40 historic trails. Get your boots on. “Walking Washington’s History: Ten Cities”is a guide to history in ten Washington cities, using historic trails, using narrated walks, maps, and historic photographs. Daniel James Brown. If by some chance you haven’t read Brown’s “The Boys in the Boat,” you must. It’s the story of the young men of the University of Washington crew team that competed in the 1936 Olympics in Berlin, an event stage-managed by Hitler and the Nazis. But the book is much more — an indelible portrait of the hard times Seattle went through in the 1930s. A classic. Linda Carlson. Carlson’s “Company Towns of the Pacific Northwest” tells the story of the early settlements formed to house loggers and miners in Washington, Oregon and Idaho – how they lived, flourished, and ultimately passed into history. Timothy Egan. A seminal book for any newcomer, “The Good Rain” was Egan’s breakout book. Egan, a Spokane native, now a national opinion writer for The New York Times, followed the trail of a long-ago explorer through the Northwest to chronicle the region and how it has changed. Egan’s passion for this corner of the world lives and breathes in his writing, but he is unsentimental about our region’s challenges. Also of note: “Short Nights of the Shadow Catcher,” Egan’s biography of Seattle photographer Edward Curtis and his lifelong quest to photograph the North American Indian. Kirsten Grind. A landmark book on our region’s business history, Grind’s “The Lost Bank” chronicles the brutal failure of Seattle’s Washington Mutual in the bank collapse of 2008, the biggest bank failure in U.S. history. Lorraine McConaghy and Judy Bentley.“Free Boy” tells the true story of Charles Mitchell, a 13-year-old slave in Washington territory who in 1860 escaped to Canada on the western version of the Underground Railroad, traveling to Victoria on a steamship and getting help from free blacks in Canada. Murray Morgan. 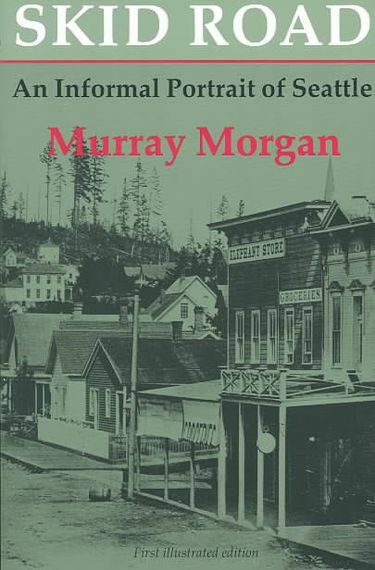 One of the most entertaining historians I have ever read, Morgan documented Seattle’s first 100 years in his book “Skid Road,” focusing on the early pioneers, notably the rapscallion physician, timber speculator, brothel owner and whiskey aficionado Doc Maynard (where is the movie of this guy’s life?). Morgan’s “Puget’s Sound” is a great portrait of Tacoma and the South Sound area. David Takami. In “Divided Destiny: a History of Japanese Americans in Seattle,” Takami tells the story of more than 100 years of Japanese-American local history, both before and after World War II, when many Japanese Americans were shipped to internment camps. For the Eastside version of this story, check out “Strawberry Days,” by David Neiwert, the lamentable true tale of how Japanese-American farmers in what is now Bellevue were sent to the camps, and how some of the same whites who agitated for their removal acquired their increasingly valuable land. Quintard Taylor. Taylor, a professor emeritus of history at the University of Washington and an expert on the history of black people in the Northwest, tells the story of black citizens of Seattle’s Central District in “The Forging of a Black Community,” from its beginnings in the 1870s through the tumultuous years of the Civil Rights era. Aaron Dixon’s memoir“My People Are Rising” zeros in on the years of the Black Panther movement in Seattle. Coll Thrush. In “Native Seattle: Histories from the Crossing-Over Place,” Thrush, a King County native and professor at the University of British Columbia, re-creates the Seattle that the Native Americans knew before the arrival of whites, and the intersecting histories of Indians and newcomers since then. 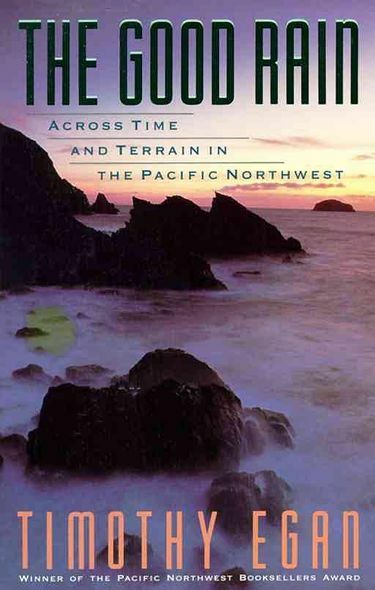 This book’s atlas of indigenous places and place names in Seattle is priceless. David B. Williams.In “Too High and Too Steep,” Seattle author Williams created a lively and copiously illustrated history of the complete reshaping of Seattle’s landscape, from the filling of the Duwamish mud flats to the jaw-dropping regrade of Denny Hill. “The Hustle: One Team and Ten Lives in Black and White” by Doug Merlino. In 1980s Seattle, two coaches and fathers brought two sets of boys together to form a middle-grade basketball team. One set was from the elite Lakeside High School; the other was from Seattle’s Central District/South End. Merlino, a Lakeside player, came back 25 years later to find out what happened to the players. He finds a history of the city in miniature, from one player who became a county prosecutor to one who was murdered. Jonathan Raban. Raban, a revered man of letters when he moved from England to Seattle, was also a seasoned sailor. “Passage to Juneau” tells the story of his sail up the Inside Passage from Seattle to Juneau. It’s a travelogue, a history of exploration and a memoir of some rough waters in the author’s life. You will smell the tang of salt air reading it and learn many things from this astute observer. Mishna Wolff. 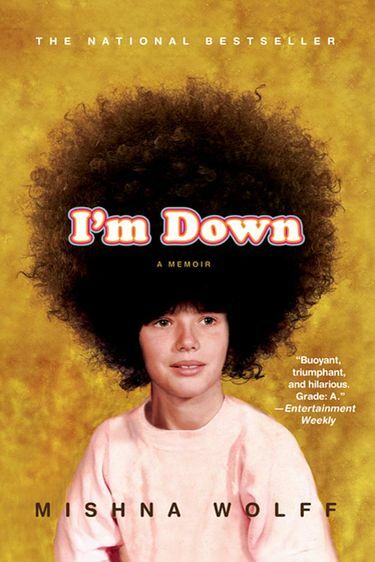 Wolff’s memoir “I’m Down” is set in the Central District and South End of Seattle in the ’70s and ’80s, when gentrification was a mere gleam in a property speculator’s eye. Wolff’s family, living spitting distance from Garfield High School, was white, but her father ardently wished he was black, in part because almost everyone else in the neighborhood was. A painful, honest, laugh-out-loud funny book. Tobias Wolff. Wolff’s unforgettable memoir “This Boy’s Life” tells the true story of how Wolff and his mother, abandoned by his feckless father, tried to make their way both in Seattle and Concrete, Skagit County (called Chinook in the book). Bad boyfriends, a worse stepfather and a rebellious teenager make for a combustible mix. Made into an equally unforgettable movie starring Leonardo di Caprio and Robert De Niro. Charles Cross.“Room Full of Mirrors: A Biography of Jimi Hendrix” is a biography that perhaps only a hometown boy like Cross could have written. It traces the troubled arc of Jimi Hendrix’s life, and is particularly revealing in its portrayal of Seattle’s Central District during Hendrix’s childhood years. Cross is also author of “Heavier Than Heaven: A Biography of Kurt Cobain,”the story of the popular high-school student who became a drug addict and dropout, then used his alienation to drive the music that made Nirvana one of the world’s most popular bands. Cobain committed suicide in his Madrona mansion in 1994. Paul de Barros.“Jackson Street After Hours” is de Barros’ inspired history of the days when a lively nightclub scene in the Jackson Street neighborhood drew the likes of Seattle native Quincy Jones, Ray Charles, Ernestine Anderson and Little Richard. Beautiful photographs by Eduardo Calderon. Disclaimer: Paul, the former music editor of The Seattle Times, is a friend, but I would say great things about this book even if he wasn’t. Mark Yarm. 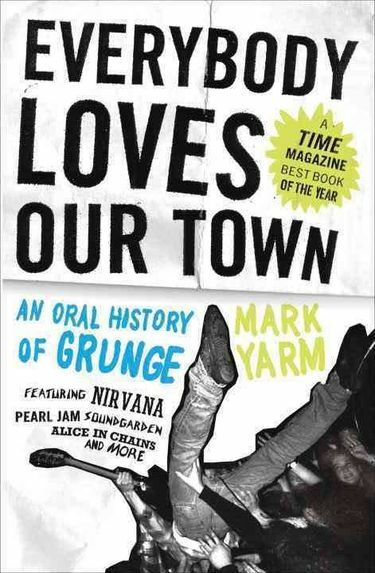 “Yarm’s 2011 book “Everybody Loves Our Town: An Oral History of Grunge” captures Seattle’s grunge erathrough the eyes of those who lived through it, from musicians to roadies to hangers-on, tracing the trajectory of Nirvana, Pearl Jam, Soundgarden and Alice in Chains, the rise of the Sub Pop record label, and the deaths of founding musicians like Cobain and Layne Staley. Christopher Bayley. 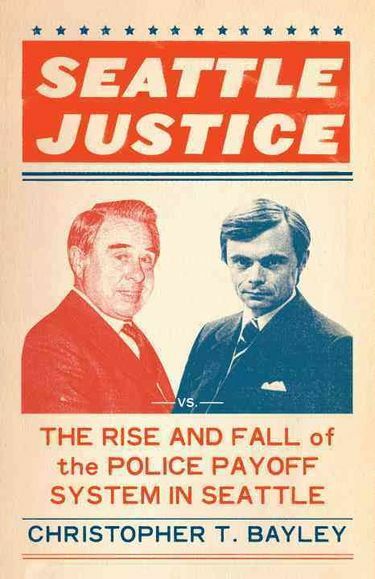 Bayley was a young lawyer in 1960s Seattle, an era when police corruption and payoffs were rife. He took on an incumbent prosecutor, won and started cleaning house, eventually indicting a number of city and police officials. He tells this story in “Seattle Justice,”a revealing window into the way the city worked not so long ago. Thomas Guillen and Carlton Smith.Former Seattle Times investigative reporters, these two co-authored “The Search for the Green River Killer,” the story of the hunt to find the killer of 49 women in the Seattle area in the early 1980s. It’s a grim and compulsively fascinating read. Dave Reichert, now a congressman representing the Eastside, played a key part in his role of King County sheriff. Eli Sanders. 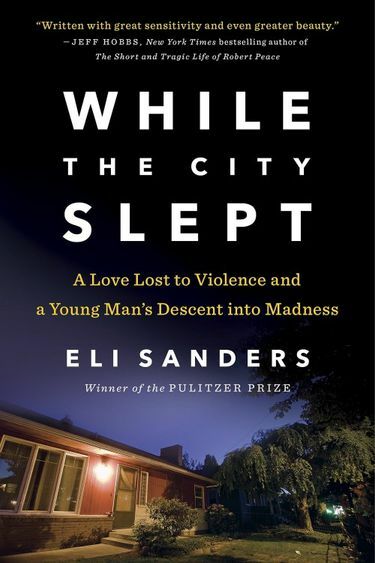 Sander’s “While the City Slept” is the riveting account of an attack on two South Park women — one raped, the other raped and murdered — and the arrest and prosecution of the killer, the mentally disturbed son of an Ugandan immigrant who fled the country’s civil war. A heartbreaking book.